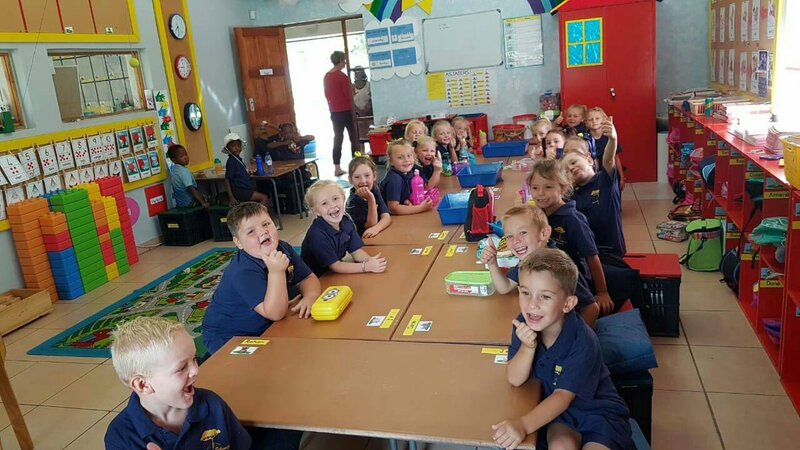 CAPE TOWN – Tension has been running high at Laerskool Schweizer-Reneke in the North West after a photo emerged online showing black pupils sitting separately from their white classmates, BBC reports. The viral picture that led South Africans to label Laerskool Schweizer-Reneke racist merely captured a moment and was not a true reflection of the school ethos, the school’s governing body said on Thursday. Governing body chairperson Jozeph du Plessis released a statement after a chaotic day at the school, which saw a protest by members of the community, including some EFF members, and a visit by provincial government officials. “Schweizer-Reneke Primary School is proud of its integrated character. The school’s ethos is built on inclusivity as a reflection of the broader South African society,” Du Plessis was quoted by News24. Du Plessis added that the photograph was a “reflection of a single moment in a classroom”. He said that the school would help staff in “aspects where it appears that integration is not taking place as it should”. Du Plessis said the school had a proud history of pupils from different backgrounds. Earlier, parents had to fetch their little ones after protests became heated outside the school. The picture sparked outrage on social media in many parts of Africa including Uganda. Others, however, pointed out that the picture was seemingly part of a series of pictures taken on the same day in the same class. In the other pictures, children of different races can be seen interacting with different pupils in different seats. The school governing body did not address why the initial picture showed an apparent divide in the seating arrangement, nor whether the images were taken in the same sitting. Recently protesters to one of Cape Town’s most picturesque beaches after private security guards were accused of ordering black visitors to leave. According to BBC, the guards, hired by local residents, allegedly cleared the Clifton 4th beach of tourists. BBC also reported that demonstrators claimed black beachgoers were unfairly targeted, but the firm denies closing the beach and says it only acts to protect residents from crime.